Owned by a Mr. Dovinson, the Perfecto Engineering Company was based (during the 1970s) in Claymill Road, Barkby Road, Leicester and listed, in their advertising literature, a surprising number of products including: lathes, hand and powered shapers, horizontal, vertical and universal milling machines, tool and cutter grinders, machine vices, milling slides and lathe accessories. 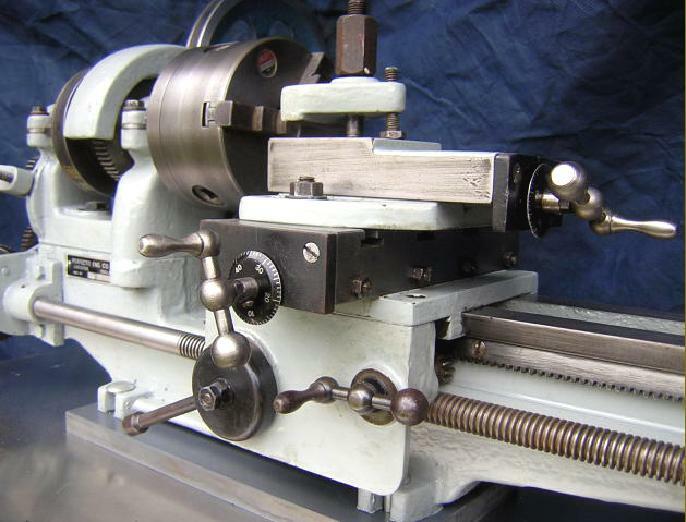 Although the lathes and shapers are well known, the tool and cutter grinder is very rare and, to date, only one example of the Company's milling machine has been found. 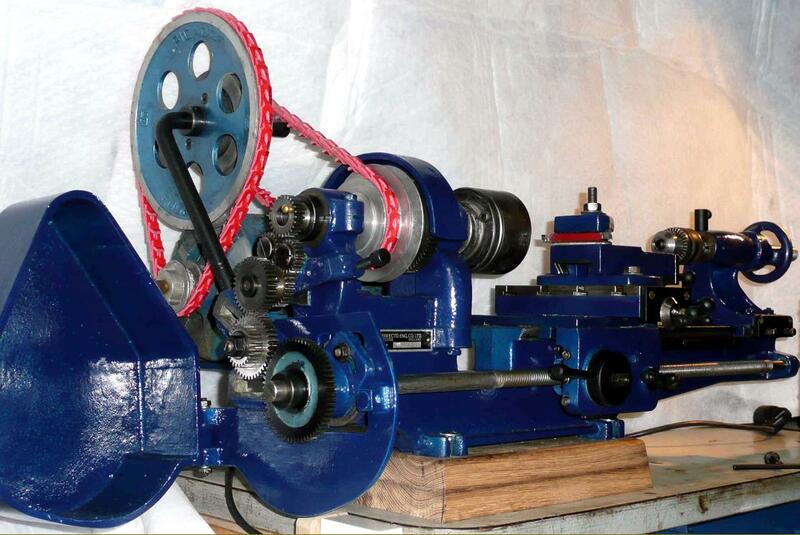 Should you own a Perfecto tool and cutter grinder or milling machine, the writer would be interested to hear from you. 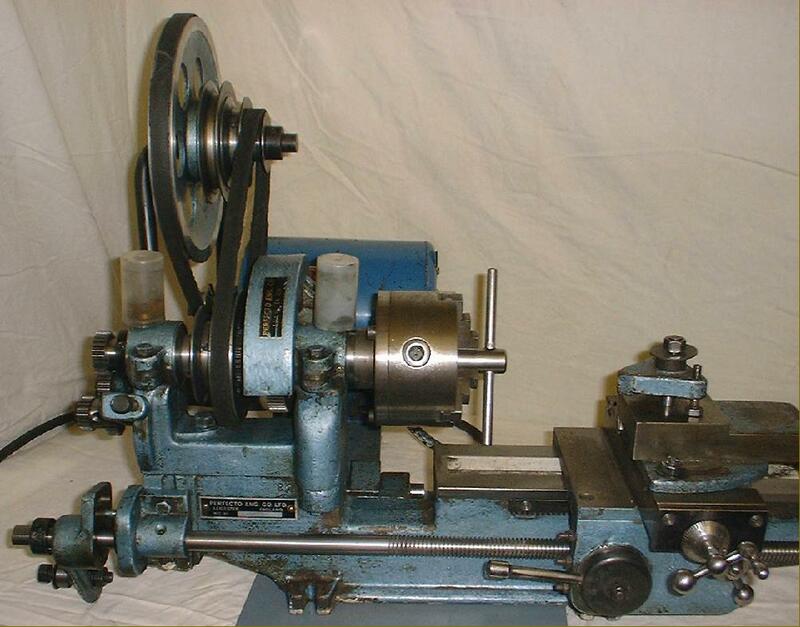 The first Perfecto lathe was one re-branded from the Sheffield maker Portass (or perhaps Zyto), this being replaced, in the late 1940s, by an expensive 4-inch machine which, judging by the numbers surviving, cannot have been a great success. This was followed by the type for which they became better known, a 3.5" x 16" lightly-modified copy of the Myford ML2/4. 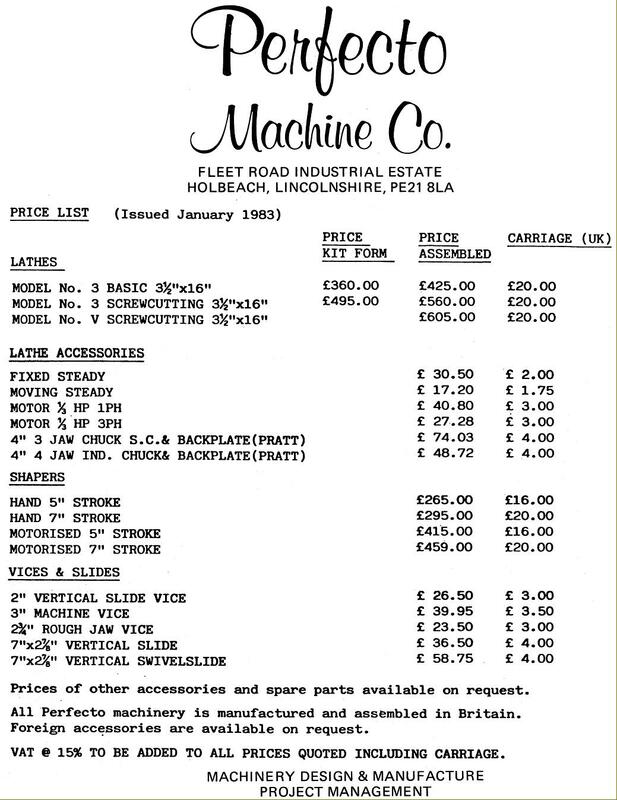 Despite the handicap of a machine whose design went back to the early 1930s, this model sold well and was a boon to the keen modeller who wanted a new lathe, but could not afford the relatively expensive Myford ML7. 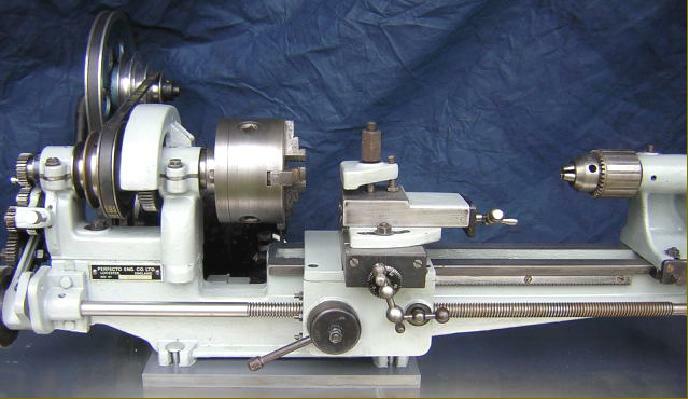 Not dissimilar to the Swedish VLG and Australian Advance copies of the ML4 that were made during the 1950s, the 3.5" x 23" Perfecto was well finished and decently specified with a 9" diameter capacity gap bed, backgear, a robust "A section" V-belt drive, tumble reverse and a T-slotted cross slide. The only obvious weakness was the No. 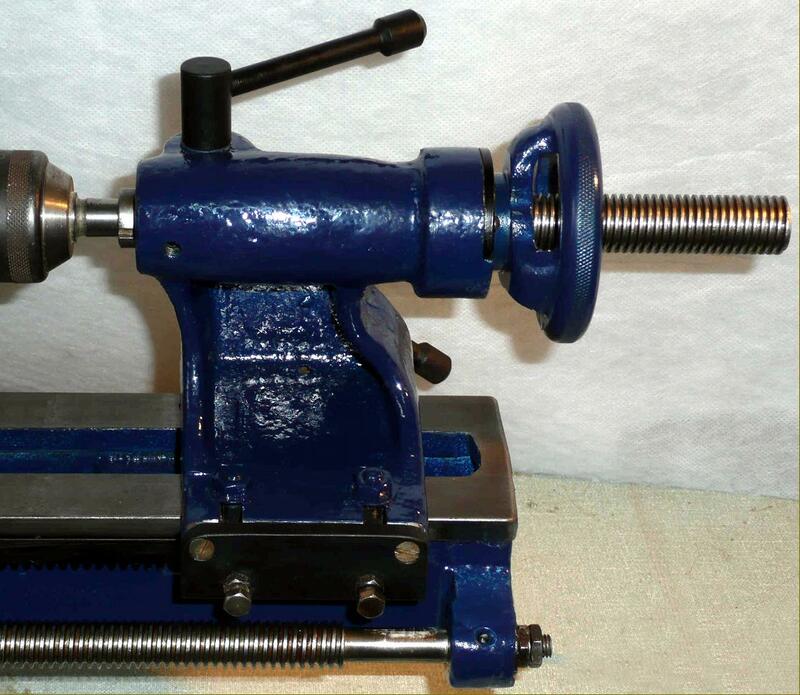 1 Morse taper tailstock, an exact copy of that used on the first Myford in 1932 - and not even modified (as later Myford versions were) to overcome the terrible weakness of the side adjuster plate. 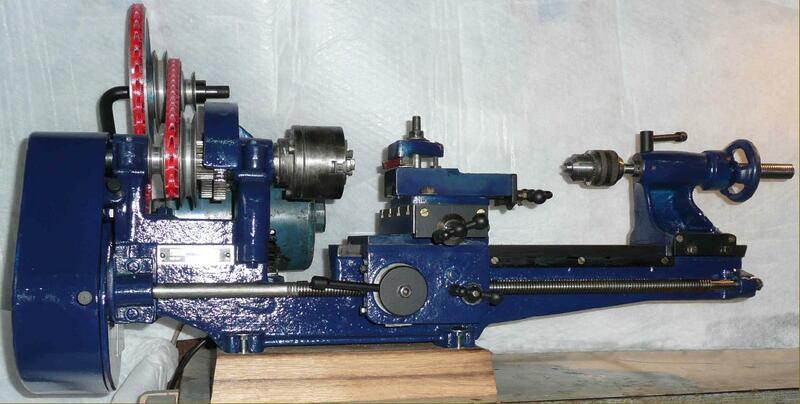 The spindle was bored through 5/8", fitted with a No. 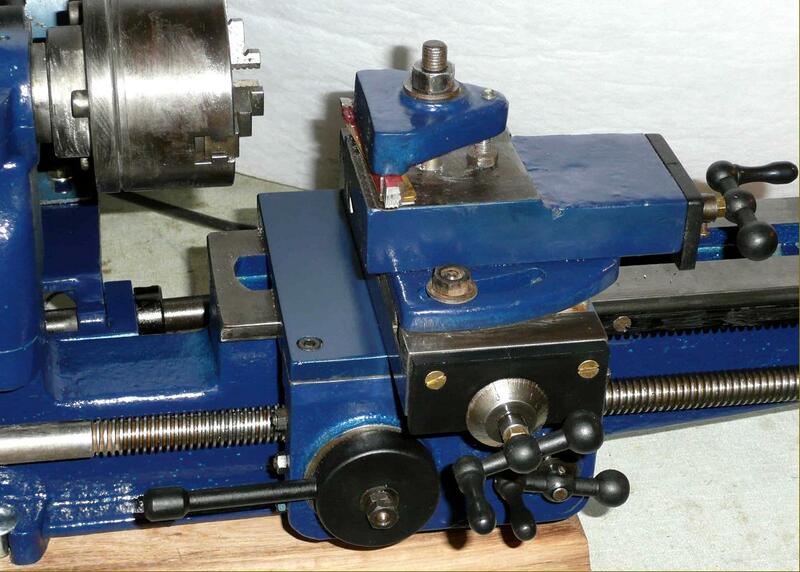 2 Morse taper and had the same thread (11/8" x 12 t.p.i) as a 7 Series Myford. Countershafts varied in design with the first featuring the ingenious use of a curved steel bar formed as a cantilever unit while later types were more rigid, and used conventional cast-iron uprights. Spindle speeds, though they varied slightly over the years, were generally in the order of: 45, 90 and 180 r.p.m. in backgear and 260, 475 and 1050 r.p.m. in open belt drive. 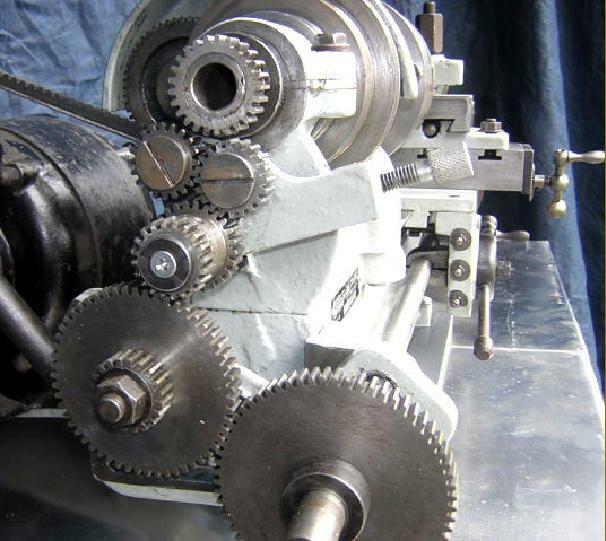 Standard equipment for the lathe included eleven changewheels for screwcutting: 2 x 20t, and one each of 25t, 30t, 35t, 40t, 45t, 50t, 55t, 60t and 65t. 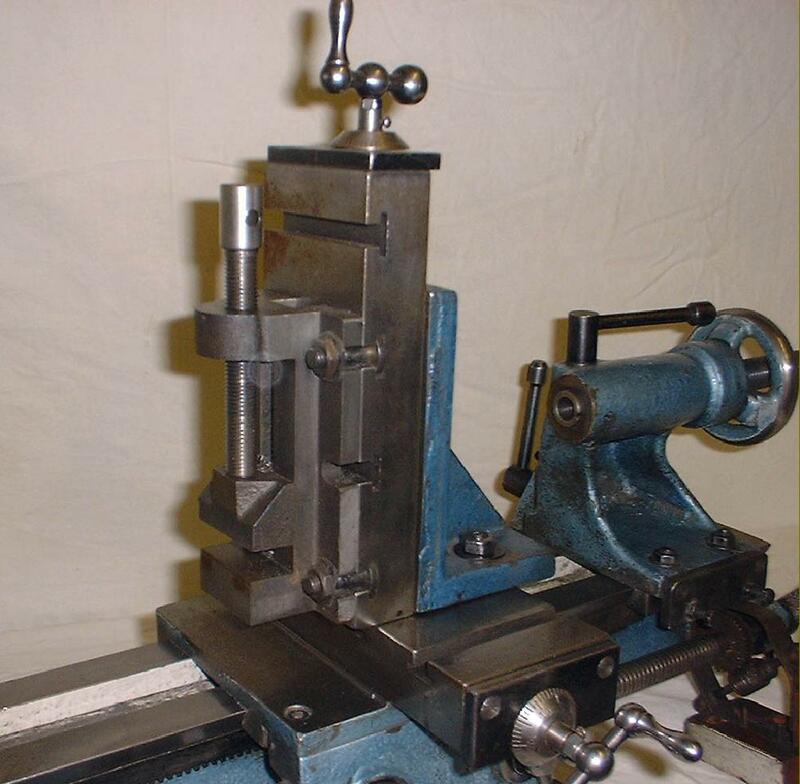 A complete range of accessories was also available and, because the machine could be specified in various basic forms, the impecunious amateur could save even more money by adding refinements later or making his own adaptations or modifications. 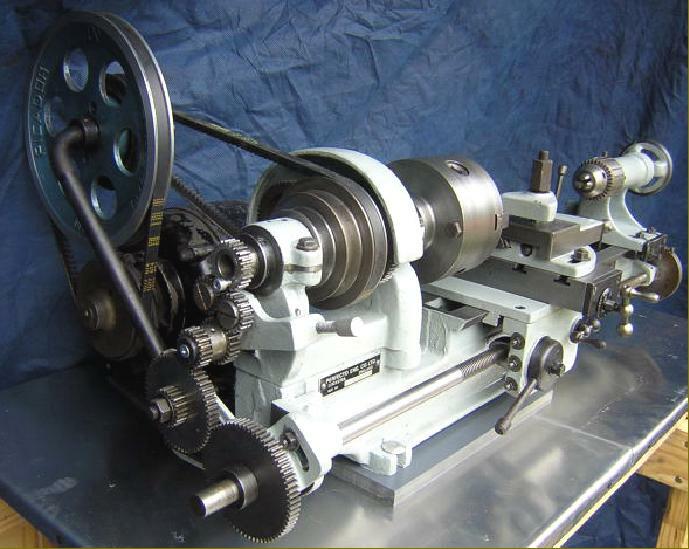 The last version of the lathe, made in the early 1980s, had a roller bearing headstock and more complete guarding over the drive belts and changewheels; however, despite these improvements very few were sold and that particular model is rare. 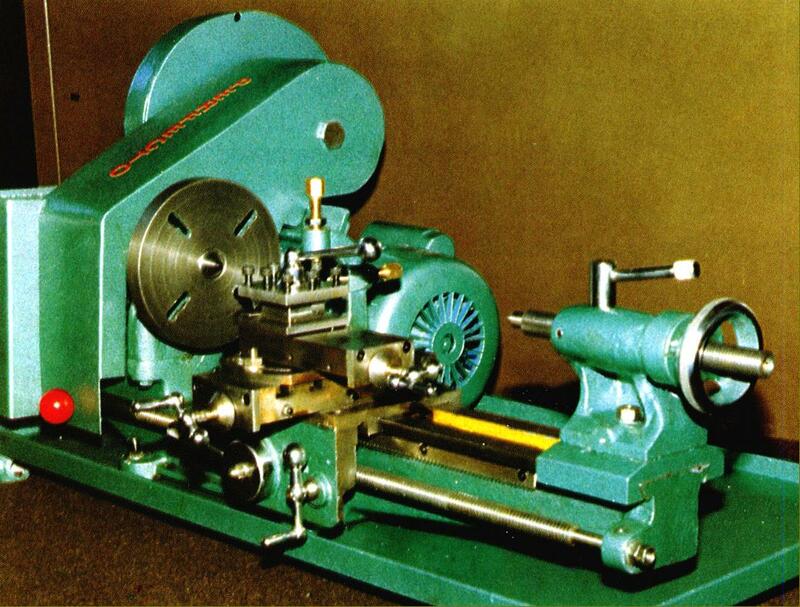 The standard lathe was 32" long, about 22" wide with the standard countershaft unit and motor - and weighed about 140 lbs..
1979 Perfecto 3.5" x 16" gap bed, backgeared screwcutting lathe.